If you live in Lake Hickory or its surrounding areas, you are likely able to take advantage of the beautiful views and scenery associated with the nearby ocean. Although the ocean can be beautiful, it can also be harmful to residents trying to construct homes and businesses near large areas of water. 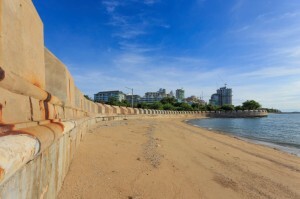 Seawalls are designed and constructed to protect buildings and land from the effects of flooding and erosion. At Renegar Construction, we are able to build highly functional and efficient seawalls that will protect your property from potential flooding and the effects of erosion.